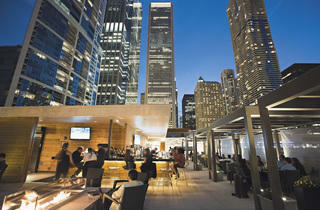 The Lakeshore East location of this Texas-based steakhouse chain opened its sleek rooftop just as temps turned chilly last year. 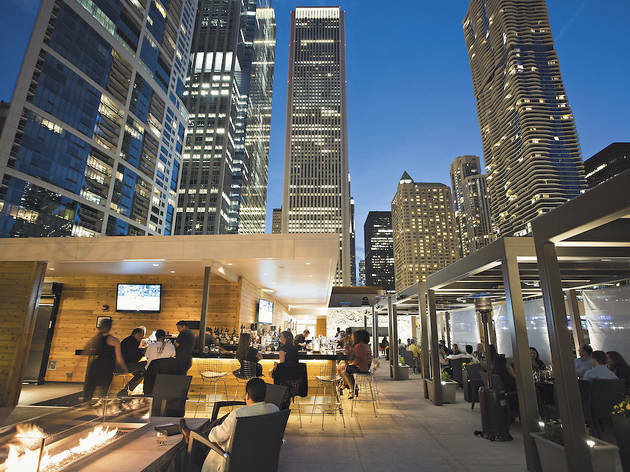 Enjoy its warm-weather debut in a cabana, perched around stone and glass fireplaces or at the granite-topped bar, which looks out on buildings including Jeanne Gang’s undulating Aqua. Hungry? TOC food critic Julia Kramer is a fan of the chicken-fried prime rib: three slabs of rich beef, breaded, fried and ladled with gravy. This place also, as any steakhouse should, knows how to properly cook a steak.